Have your septic tank inspected yearly and pumped regularly by a licensed septic tank contractor. See pump chart for suggested pumping frequencies. Don’t dig in this area or cover with any hard surface such as concrete etc. Don’t use your toilet as a bin and limit the use of chemicals and cleansers down the drain. Harsh chemicals kill the bacteria that help purify your wastewater. Don’t waste money on septic tank additives. The bacteria needed to treat wastewater is naturally present in sewage. Additives do not eliminate the need for emptying your tank regularly. 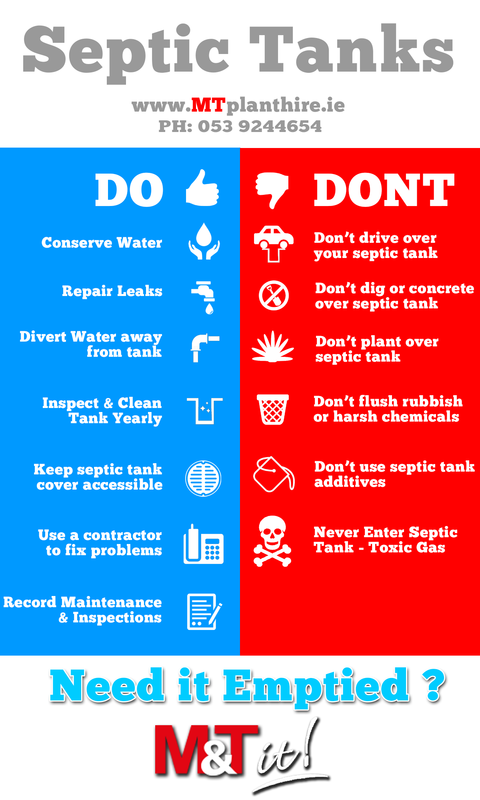 Never enter a septic tank – toxic gases from the tank can kill. If your system develops problems contact us immediately.